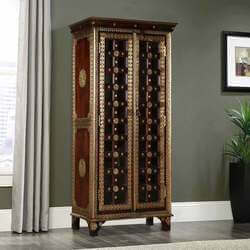 The Empire style spread across Europe, Asia and into America with each country adding its own elements. 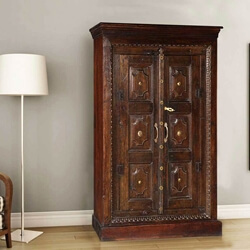 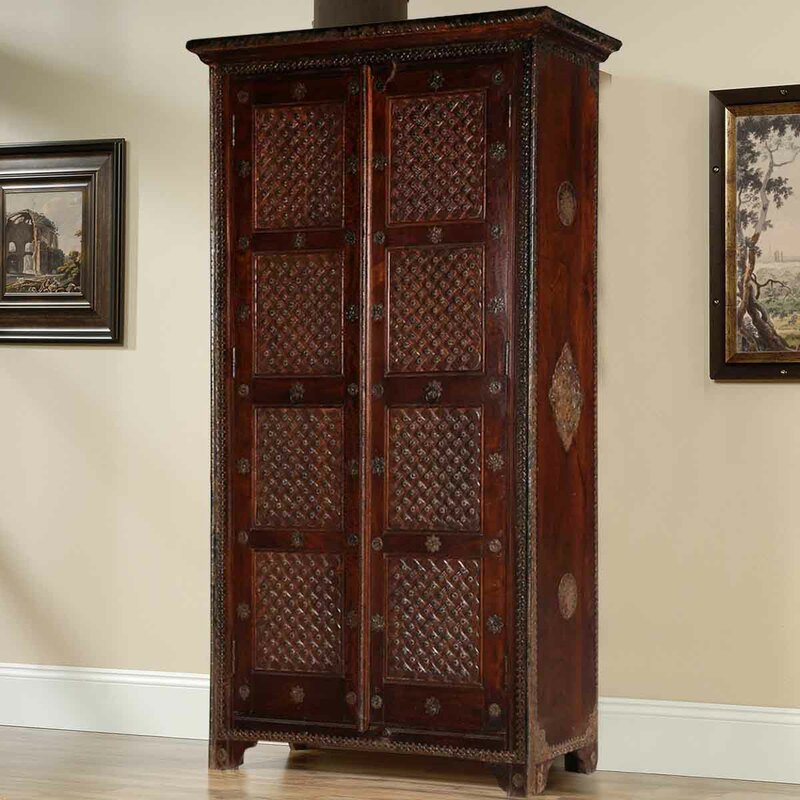 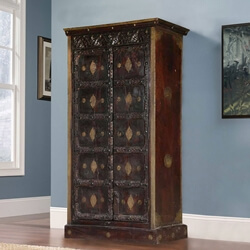 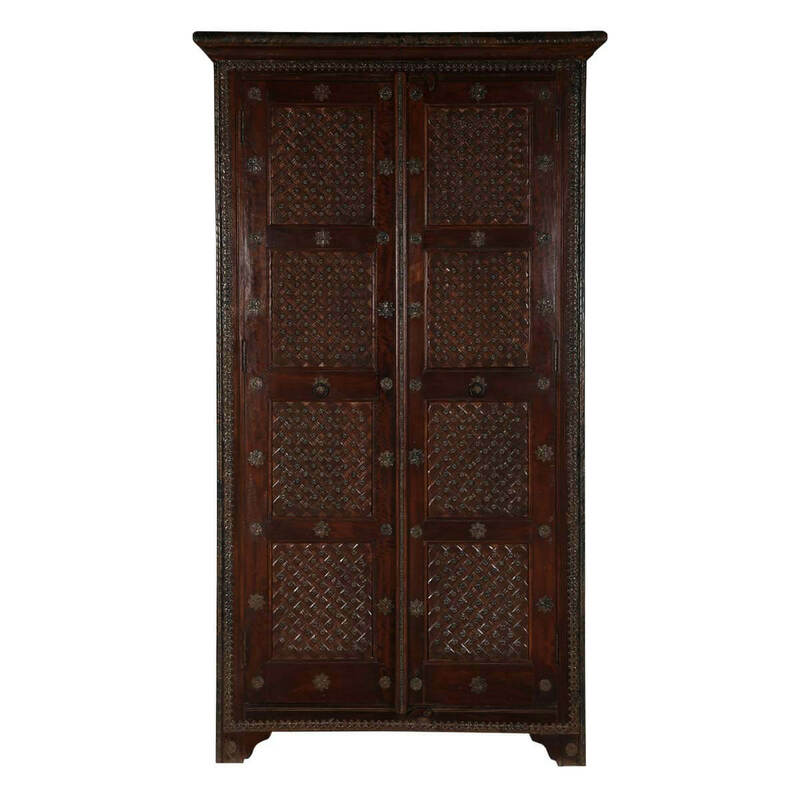 Our Traditional Empire Handcrafted Brass Inlay Solid Wood Tall Cabinet features lots of ornamentation with brass inlay on the sides, front, and doors. 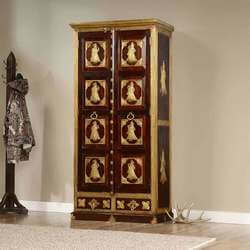 The top and bottom are trimmed in brass and the doors glimmer. 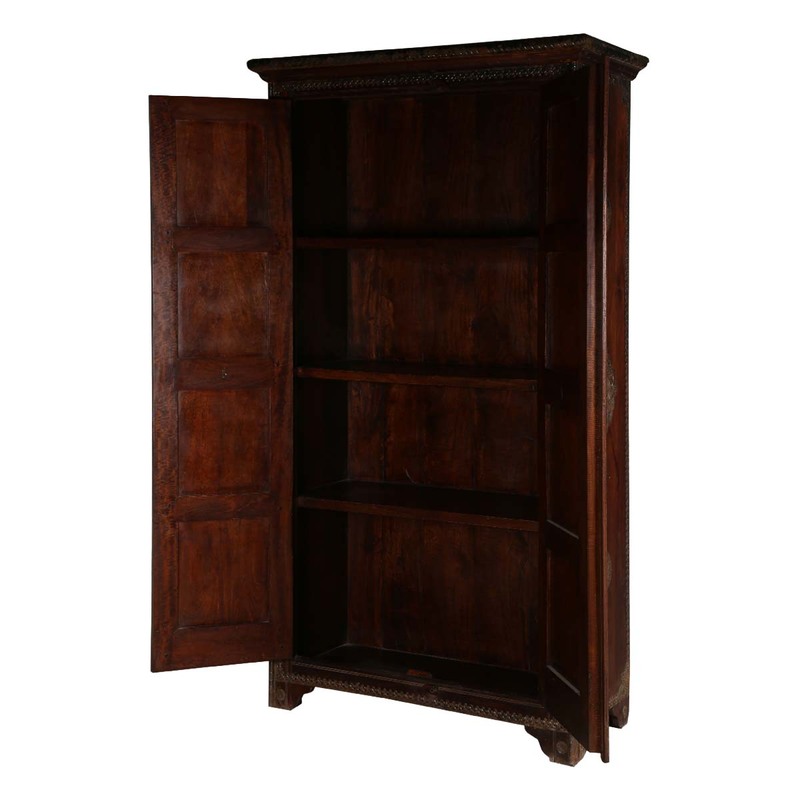 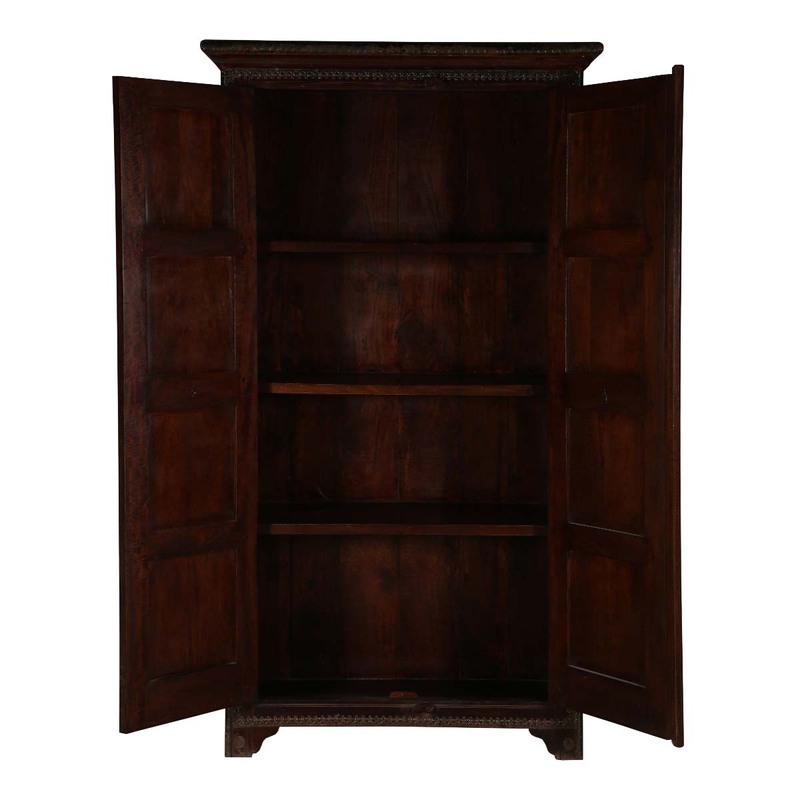 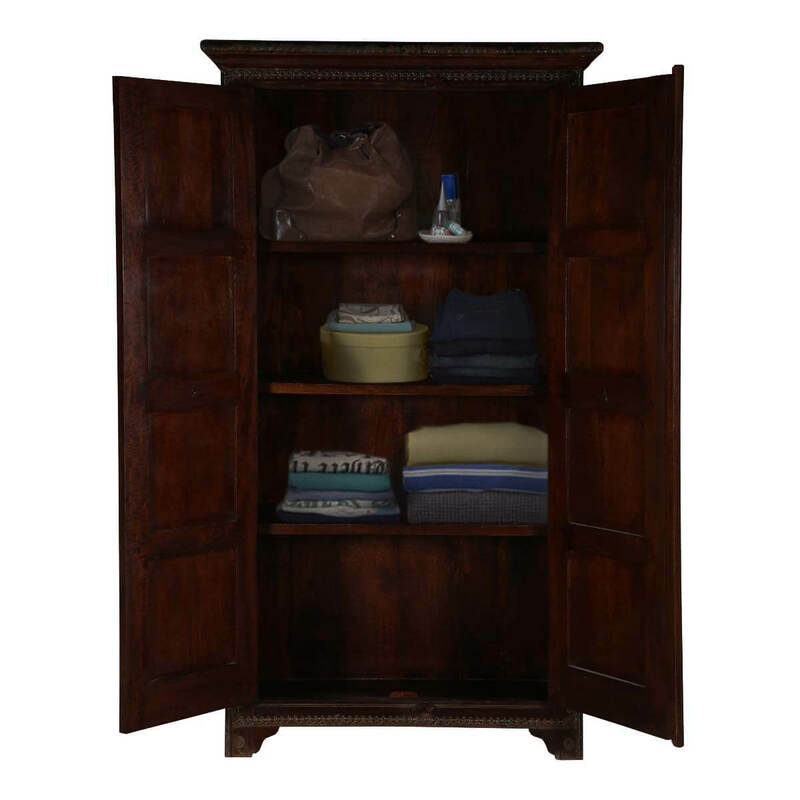 The double doors of the tall storage cabinet open onto a large 4 shelf storage area. 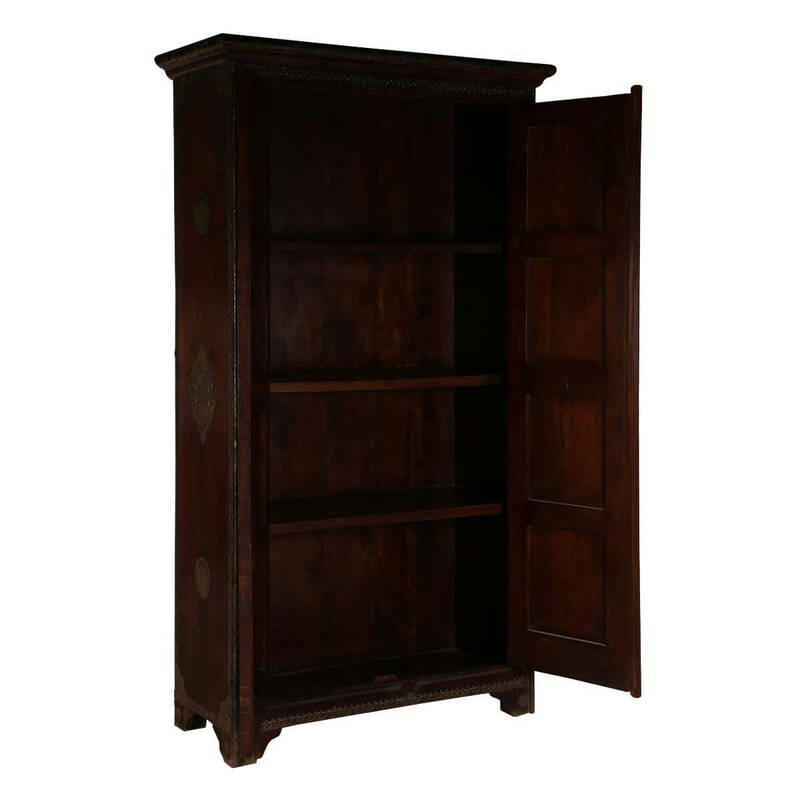 The cabinet stands off the floor on corner feet. 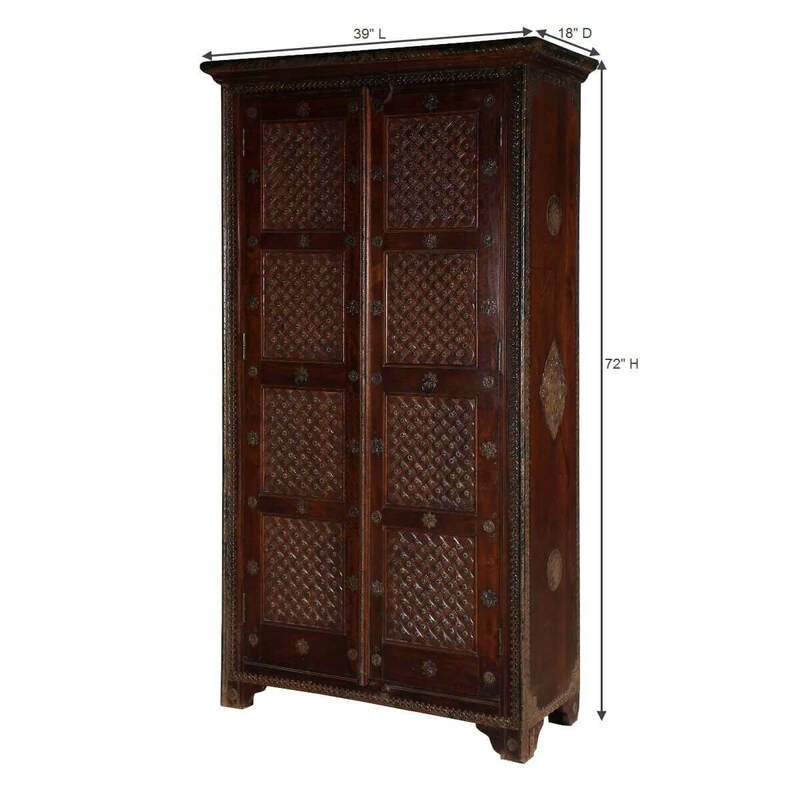 The beautiful and elegant accent cabinet is built with solid Mango wood, a tropical hardwood grown as an eco-responsible renewable crop.